As we continue our journey through this season of Christmas, we come to the Feast of the Holy Innocents. The Feast that honors all of the young children who were slaughtered by King Herod in his attempt to kill the Baby Jesus. Many parishes will have a special Mass said on this night to honor all the innocent children who were martyred for Christ. Many of these masses incorporate all children who have been lost due to abortion, still birth or miscarriage. Even those who suffered some other form of untimely death. During the Mass the priest reads several prayers and then invites those who have added names to the list to come and light a candle as the list of each child is read. Those who wish to pray for a lost child, lights a candle and sets it in a bucket filled with sand that is placed near the feet of the infant Jesus, as He is laying in the manger. There is beauty wrapped in the sadness… and it reminds us, that all life is sacred. 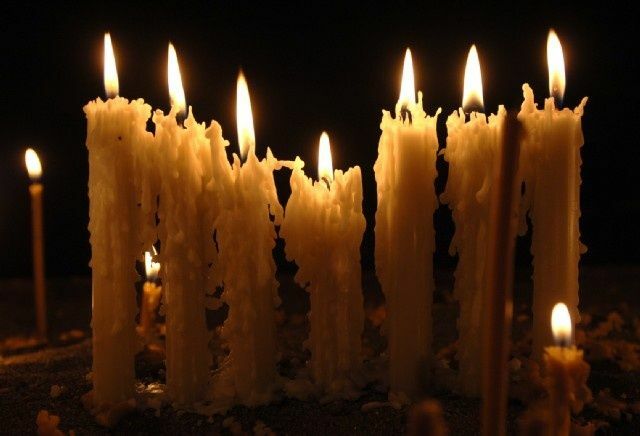 As we watch the candles flicker and the light grow, we are reminded of all that has been lost. From those first babies who were murdered… those who were martyred for Christ... to the countless children who are lost each year… each day, to abortion. As we listen to the prayers of the faithful, we are also reminded that even though a child may be lost to this life, Jesus Christ came so that we might have eternal life…. 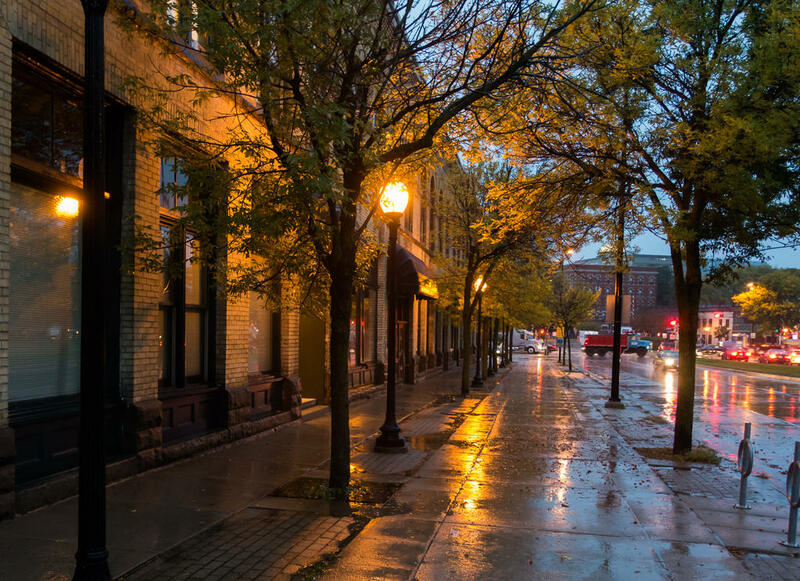 and as we sit mesmerized by the flickering flames and the soft glow… we are filled with hope. Filled with the Hope that only Christ can give, and even though there is aching in our hearts from losing something, because of our Faith, we know that God is good and that He is indeed the very Light that came to fill the world. A world that would be engulfed in darkness without Him. And we are reminded of the sacredness of life. All life. And as we process to leave the church, we look back at that tiny babe lying in the manger and at the candles burning low, and we know… we realize… that Christ has held each one tender babies close to His heart and filled them with His Light, and that Hope is enough to send us out into the dark night with the flame of Christ’s Love flickering in our own hearts… Merry Christmas. Firstly, happy third day of Christmas! As a kid it used to seem to odd to me that at Mass we used to talk about the twelve days of Christmas and the Feast of the Epiphany, but in the secular… or rather the ‘non- catholic’ world, they talked about the twelve days before Christmas. It seems that almost everyone else on the planet, (at least here in the states) that Christmas is done… put away until next year. Even the ‘Christian’ radio stations are done with Christmas music… heck, most people will use this weekend to take down all of the decorations and trash the tree. But it is not over yet. Don’t let the world fool you. 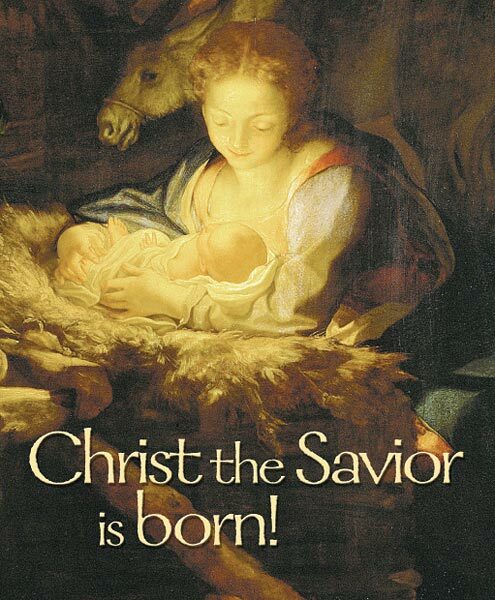 Don’t let your joy at the birth of Our Dear Lord and Savior be diminished by the world… celebrate! Keep the Child Christ in you hearts and in your sight. 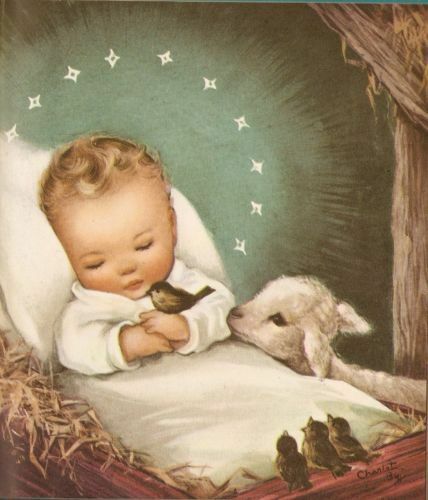 As with the birth of any babe, linger there at the Creche when you take the children to Mass… linger in the true beauty of the season… don’t rush off just yet. The world and all its bitterness and decrepity can wait. Savor the mystery of God made man… savor the knowledge that God loved each one of us so much that He became man… like us in all things but sin, to save us from our sin. Allow yourself the joy that comes from this Truth about God… The Truth about Christmas… and celebrate! Tomorrow we can get back into more serious tidings… God Bless. Because God so loved the world He sent His only begotten Son so that man who had grown to have a love for power… would grow to know the power of Love… His Son Jesus Christ… Who is Love Itself. Joy to the world the Lord has come, let earth receive her King! Merry Christmas! Yes, our original intention was that we had come to pay homage to the Blessed Virgin, but ultimately, we had gathered to offer praise to Our Heavenly Father for the gift of Our Blessed Mother… who in fact was the earth that opened with her yes, so that the Holy Spirit could drop down upon her like the dew and bud forth a Savior. We embarked in this journey, not only to satisfy God by showing our love for His Mother, it was also because deep down we know that man has always longed for more… There is an ache in our souls that we still carry because of the wight of original sin. That ache that cannot be filled by the things of the world…even after all of these thousands of years of searching… we are longing for more...We are still seeking out our ‘messiah’. Even in this day and age when so many have lost their way and turned away from God and His grande design for man… we are still longing… still searching for the Truth … and whether we realize it or not... we remain, like those wise men of old… still actively searching for Christ. Rorate Caeli, is a special Mass… a step out of the ‘ordinary’ advent journey, and because we are celebrating the ever pure and holy Blessed Virgin, the vestments today are white instead of the usual advent purple. The Mass takes place during this point in advent to remind the faithful, that without Christ’s birth, without Christ’s Light… the world would have remained in darkness. And as the church becomes brightened by the rising sun outside, we are reminded that each of us is brightened by the Light of Christ inside. There is a joy that comes from this realization that is able to reach through to the very soul...to fill that longing… but, you have to be receptive to it… you have to allow yourself to sit in the shadows and be surrounded by darkness for the reality of it to penetrate your senses. The readings and prayers of the Mass foretell of the prophecy of the Virgin who would bear a Son named Emmanuel. These readings call on all to open, not only the gates of their own hearts, but those of societies, to Christ Our Savior. Not only are we to allow Him to enter, but we are to allow Him to reign as King as well. During this time we are petitioning for the grace to receive eternal life by the merits of the Incarnation and saving Resurrection of Our Lord. Since this a High Mass there was incense and chanting. 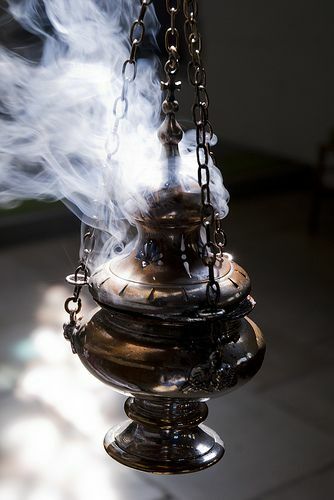 Combine the mystery of the darkness, the candlelight, the fragrance and the smoke of the incense with the traditional Latin being sung and it soon felt like the veil between the faithful and heaven had drastically thinned. Even though we did not merit it… being there felt like we had been given a grace… because of God’s goodness, we had been allowed a peek… a small wonderful glimpse into the holy of holys…. 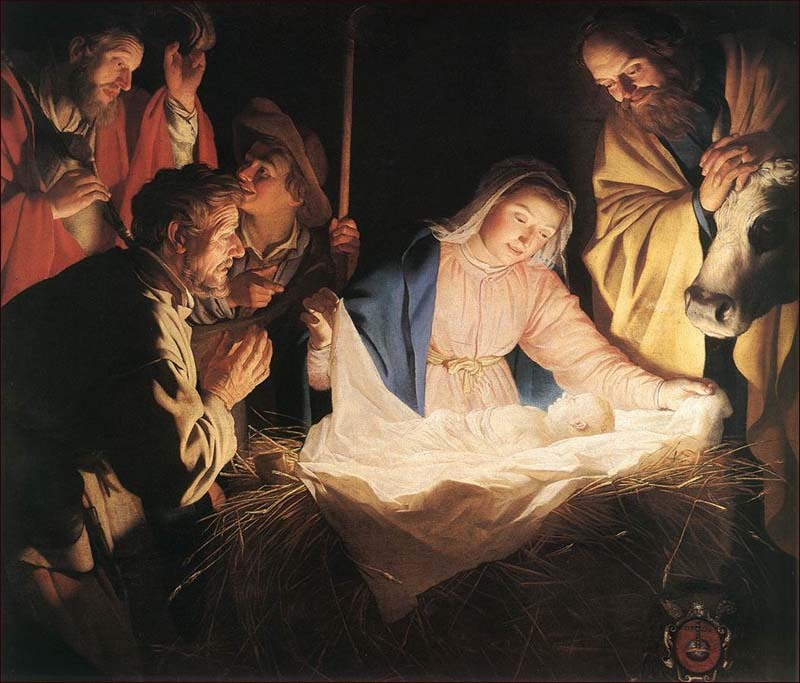 into the mystery of the incarnation of the Lord. Because our journey began in darkness, we got to experience the way Christ is the Light that spreads across the world… for a moment we were removed from the cares of the world and were able to focus solely on Christ’s coming birth. It was an absolutely beautiful way to deepen our advent journey, and it was well worth all the extra driving and planning it took to get there. And because God is so good and ever loving, He allowed for us to slip away, through the wonder of this Holy Rorate Caeli Mass, and be transported out of realm of the everyday… allowing us to be transported from the darkness into the light. And by doing so, He allowed us to experience heaven’s beautiful embrace. Below is a copy of the sermon that St. Bernard of Clairvaux wrote and was read to us by Fr. Vincent Capuanoat, S.J. at the Mass. It is absolutely AMAZING! Enjoy! If we devoutly celebrate the coming of the Lord we do no more than that which we ought to do, for He has not only come to us, He has come for us, Who has no need of our own goods. The enormity of the grace which He gives us demonstrates quite clearly our previous indigence. For if one judges the gravity of a disease from what it costs to heal it, one is forced to recognize the amount of disease to heal from the amount of medicine to which one must have recourse. and depths of oceans unknown …. As we continue our advent journey, the Holy Mother Church is determined to remind us… determined to draw us closer to Christ by providing us with special feasts that point us in the direction of Our Blessed Mother… who in her utmost love for the Lord, serves only to draw us closer to her Son, Jesus. Yesterday the Holy Mother Church celebrated Saint Juan Diego who met the Blessed Mother under the title of Our Lady of Guadalupe, whose feast we celebrate today. 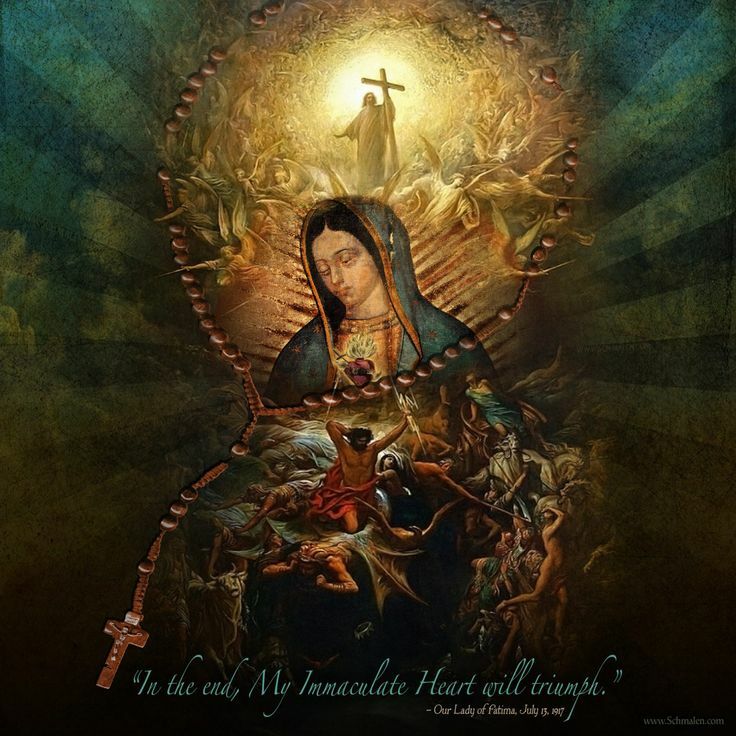 As faithful Catholics in America, each of us should honor our Blessed Mother under this title, as she is the Patroness of the Americas as well as the protector of the unborn. 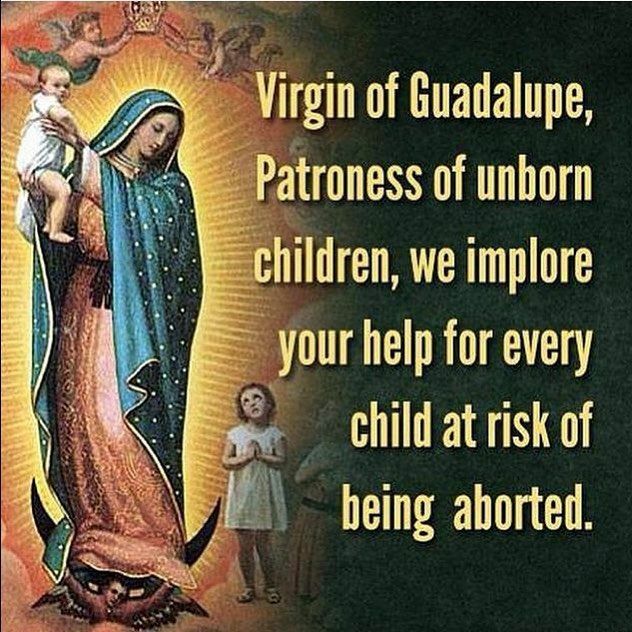 During a time when Americans willfully slaughter the most innocent among us, we (the Church militant) should be pleading with the Blessed Mother for her intercession to end this tragedy. Unfortunately, as our country progresses, we have fallen back into the sins of old, and we sacrifice our unborn children on a daily basis. We have high, ‘supreme’ courts that uphold these barbaric measures… promoting such horrific procedures as ‘health ‘care and protection of privacy for women. We know that this battle will not be won in courts of man… they have proven this many times… In order to end this horrible practice we must pray for miracles. Not just to Jesus, but we must pray for the intercession of His Blessed Mother as well. Because when she appeared to St. Juan Diego, the Aztecs were on a killing spree, they were murdering their young and offering them as sacrifices to pagan gods. Today, many who seek out abortions are acting on different motives… and unfortunately many do not understand the dire consequences of their actions, but the outcome is the same… the loss of innocent life… just thinking about this should cause us to do more than shudder. It should cause us to look into the gentle eyes of Our Beloved Lady of Guadalupe and plead with her for an end to this atrocity. These prayers should never be far from our hearts or far from our lips. As we prepare to celebrate the wonderful occasion of the birth of Christ, let us remember the unborn children who are in jeopardy of being aborted, and as we seek to draw closer to the Infant Jesus, let us hold these dear little children in our hearts and offer them to the Blessed Mother that under the title of our Lady of Guadalupe, that she may intercede for the Americas again, and stop this all too pagan ritual of abortion.